On the surface this is absolutely gorgeous. 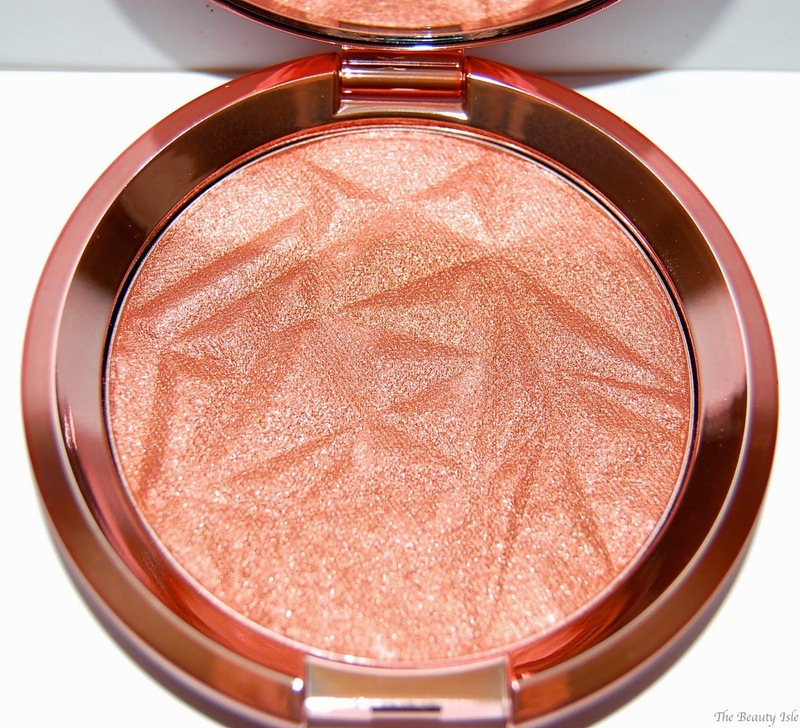 The rose-gold packaging is to die for. And look at the product itself! 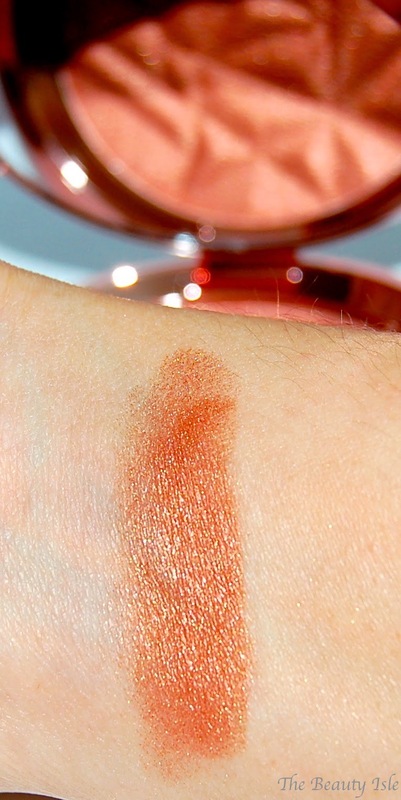 Depending on your skin tone, this can be a blush, blush topper, or highlighter. On me, it's definitely not a highlighter because it's really dark and pigmented. The color is gorgeous, in theory. 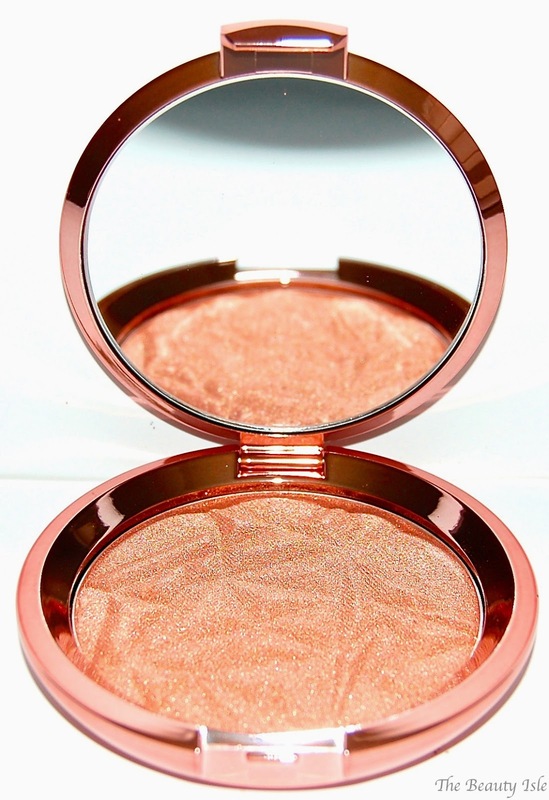 It's definitely a VERY shimmery copper. But that doesn't really translate well to the face, at least not my face. 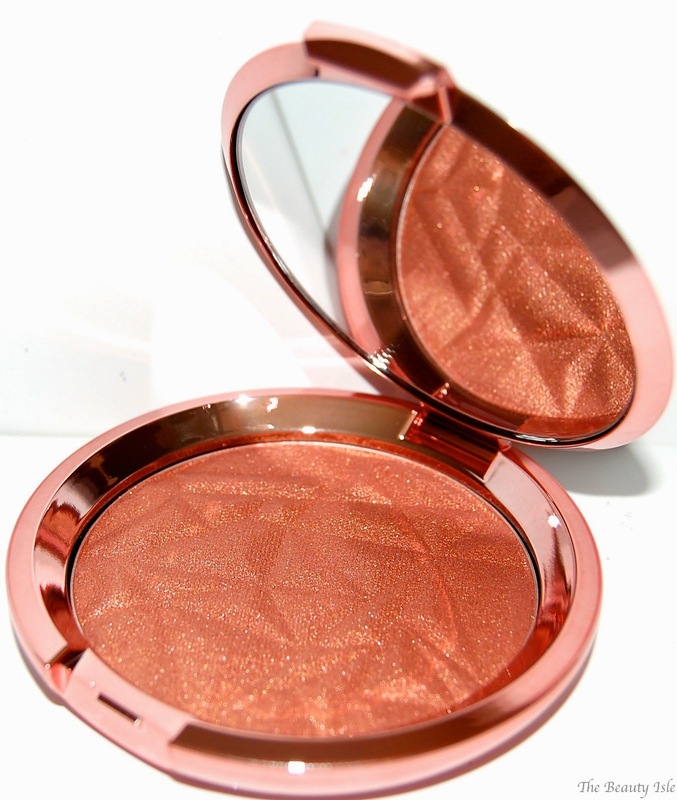 This is extremely difficult to apply since it's so powdery and pigmented. You really need to tap or wipe your brush of excess product before applying this to your face. I've even tried applying it with a stippling brush which was slightly better, but not much. Because it's so dark, pigmented, and powdery I find that the color just kind of plops onto my face. It's not the easiest to blend out either. The only way that I can get it to look normal is if I go over it with with an all-over face powder but that takes away the sheen so then what't the point?? Having a tan might make this not look so coppery on the face but I don't think I will ever be tan enough for that to be the case. I have a feeling that this will look gorgeous on ladies (or men!) with deeper skin tones. I really wanted to love this product. I gave it a fair shot, I used it many times over the span of 3 weeks. 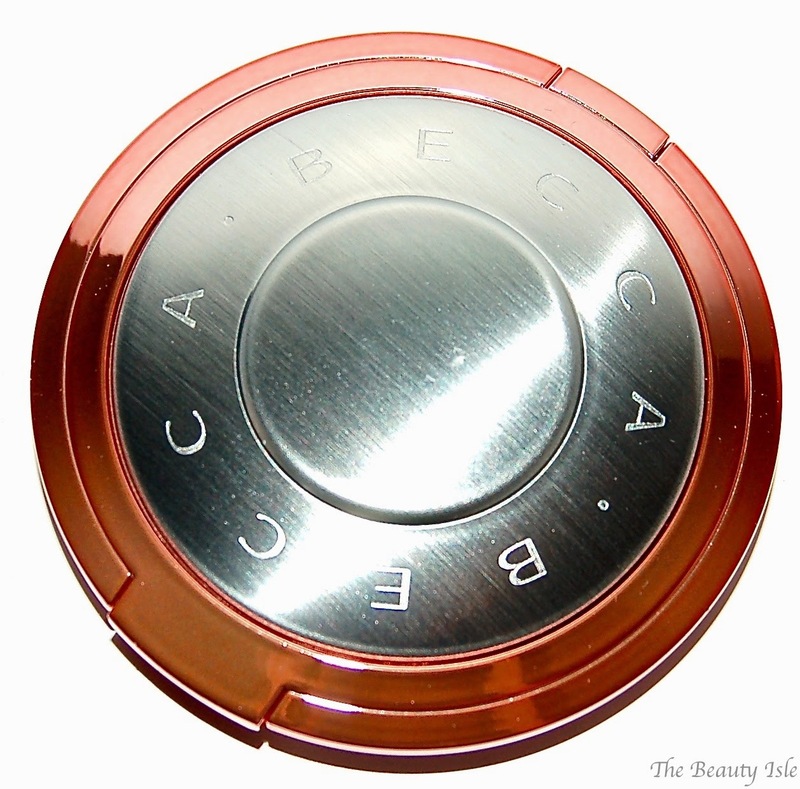 Unfortunately I'll be returning the Becca Blushed Copper Shimmering Skin Perfector right back to Sephora. I actually don't mind, even with the recent 15% off VIB sale, it was still really expensive.